Dr. Gary L. Marder, board certified dermatologist and Founder of Total Relief Scalp Therapy products joins eHealth Radio and the Dermatology & Skin Care Channels. How did you go from being a dermatologist to creating your own product line? What makes your product so unique compared to the other scalp products available? What exactly is dandruff and seborrheic dermatitis and what causes it? What other products do you have in store for us? For over 30 years Dr. Gary L. Marder has been a board-certified dermatologist. 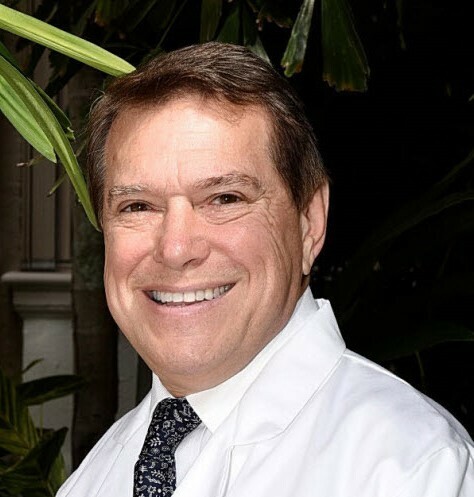 He is the Medical Director of Marder Dermatology, with two offices in Florida, and the Founder of Dr. Marder's Total Relief Shampoo & Conditioner line. After decades of seeing patients who suffered from dry, itchy scalp and incessant dandruff, accomplished dermatologist Dr. Marder set forth to develop a revolutionary product that would help his patients and fellow dandruff sufferers around the world. Recognizing the scalp as a sensitive part of the skin that needs proper nourishment, Dr. Marder's Total Relief Shampoo & Conditioner line is formulated without sulfates or common irritants found in most hair products. The shampoo and conditioner are formulated with natural extracts and antioxidants such as resveratrol, citric acid, coriander fruit oil and essential vitamins. What makes Dr. Marder's Total Relief™ Shampoo different from all other products is the addition of maximum strength cortisone.